A shot of the new Aquaman poster. The Amazon takeover has officially entered the DC cinematic universe. Amazon has announced special week-early screenings for Jason Momoa’s solo debut, Aquaman, but only for folks with Amazon Prime. 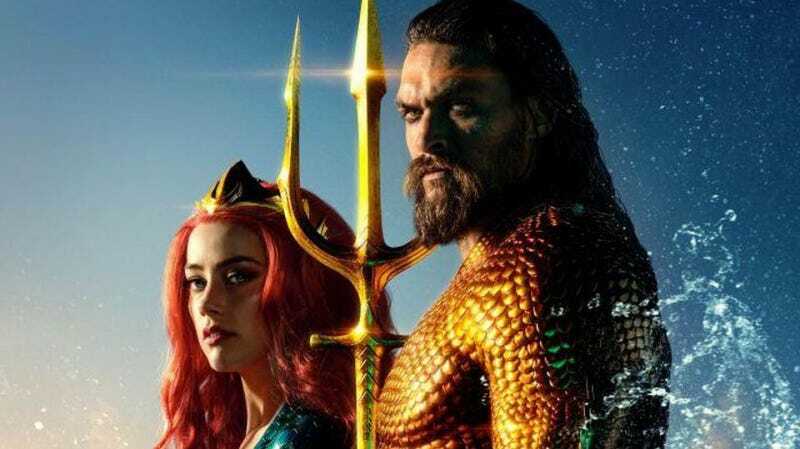 According to a press release, about 1,000 theaters across the United States will hold special screenings for Aquaman on December 15, one week before its official release on December 21. It’s still one day after audiences in the UK get to see it, though, so we’ll still be a bit behind. However, you have to be an Amazon Prime member to buy tickets for the showing (each member can buy up to 10 tickets, so if you have a friend with Amazon Prime, be sure to hit them up). Coming on the heels of the Doctor Who episode “Kerblam!,” where a mega-corporation had a presence in nearly every aspect of people’s lives, this doesn’t feel at all like a monopoly apocalypse (or “monocalypse”) is on the horizon. “Bringing this epic origin story and the wondrous underwater world to the screen has been an amazing experience for the whole cast and crew, and I’m so excited for Prime members to be our first audience for Aquaman,” director James Wan said in a statement that in no way sounds creepy. This isn’t the first time Amazon has done this kind of promotion—they previously did an Amazon Prime members-exclusive screening of Jumanji: Welcome to the Jungle, a film that was expected to do okay ended up being a surprise hit. This is arguably the biggest film that Amazon had partnered with so far, and could be a sign of things to come. Some really weird, corporate dystopia things. All of that said...dammit, I still bought tickets. Aquaman Can&apos;t Actually Be This Fun, Can It?